Of all the things that affect a website’s search rankings, nothing is more important than what’s on the web pages themselves. 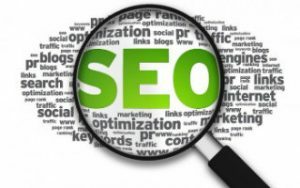 Up to now, all the aspects of SEO we’ve covered have been planning and preparation – all critically important – but this is the first that will actually affect a website’s search rankings. On-Page optimization is the tweaking of the content of web pages to help search engines better understand what they are about, and therefore rank better in the search results for targeted keywords. Every professional SEO should include on-page optimization in their service, but it’s still a good idea to make sure. What are your thoughts and questions about on-page optimization? I do have a question Paul. What is/are the tool/s that you use for On-Page Optimization? Please do keep up the great work on your What is SEO? blog series! Hi Mark, if we are also building the website, we install and use the Yost SEO WordPress plugin. If not, we don't use any tools – just the websites admin/editor or if it's HTML pages a text editor. I am using WordPress SEO by yoast plugin. and I think all these things that you described here are in this plugin and these things are very necessary for on page optimize.